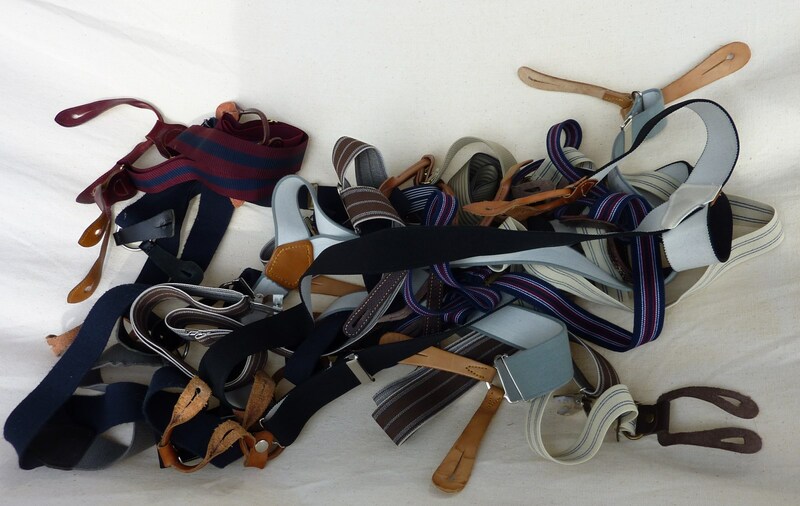 Brace yourself - classic trouser suspension - Well Dressed Dad - It is a proper menswear blog. Like, with original words and opinions and suchlike. I quite rarely find myself with a pair of trousers that doesn’t require some assistance in not dropping of their own accord. Given how my oldest offspring is now 24, even though I still think of myself as a young buck, I must start considering myself to be an adult, and hence striding around with my trousers hanging halfway off my behind is very much out of the question. 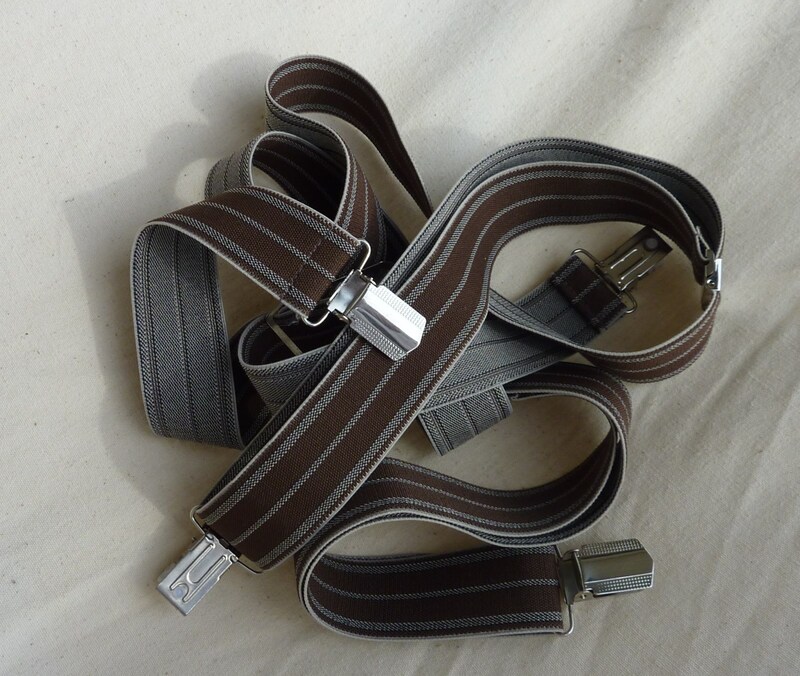 So it comes down to a question of belts or braces, and while a belt certainly does the job, to my mind a pair of braces (or suspenders, as the Americans would say) brings a certain flair to the outfit that a belt rarely does. As long as you’re not working undercover trying to blend with the background, I’d say adding some flair is good. I first started using braces when I was around 15, and I still have these 30 years later. It’s an odd feeling to actually own a vintage item I bought new, but they still look good and have their full functionality today. I recall that they weren’t too expensive when I bought them from a traditional men’s outfitters back when I bought them way up in the far North of Norway. From a historical perspective braces as we know them today go back almost 200 years, to when Albert Thurston invented them in 1822. 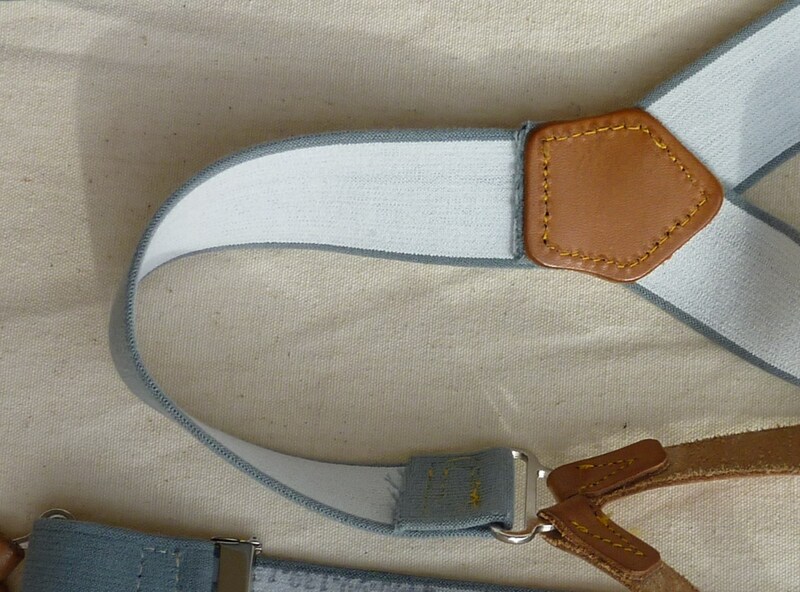 At the time they would have been used for the high-waisted trousers used then, a style that made belts impractical. 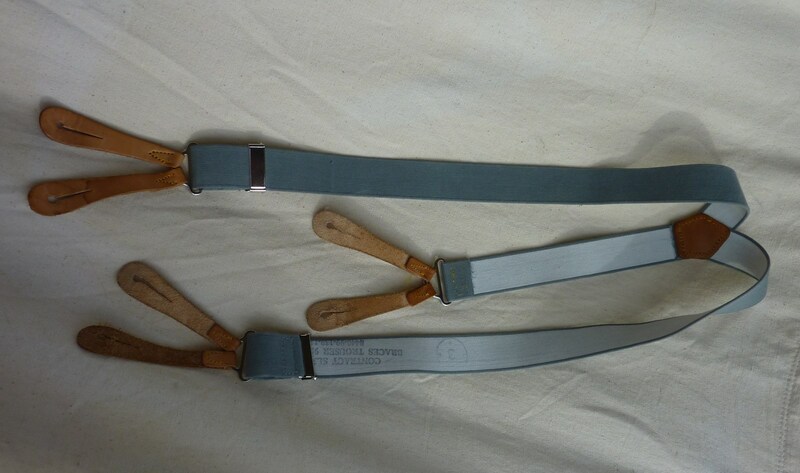 During WW1 uniform belts came more into prominence and the popularity if braces declined in the 1920s. One fact that will sound quite strange today is that back then braces were considered underwear, and were to be worn under a waistcoat. As waistcoats fell out of favour, the braces followed. As fewer men wore braces, manufacturers of trousers also moved the buttons for the braces from the outside to the inside. As I left my teens, I forgot about my braces, as I did with my hipster wool overcoat and other teenage affectations. It’s been a joy to have rediscover them again, and this may be a good example of following fashion. 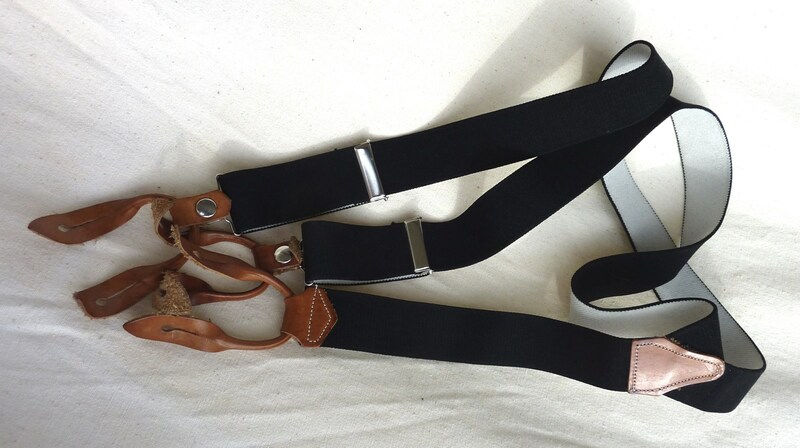 Noticeably a few years back, braces started to make a comeback again, and brands such as Scotch & Soda (who actually make a number of pretty snazzy, yet reasonably priced, trousers) included buttons and braces on a number of their trousers. 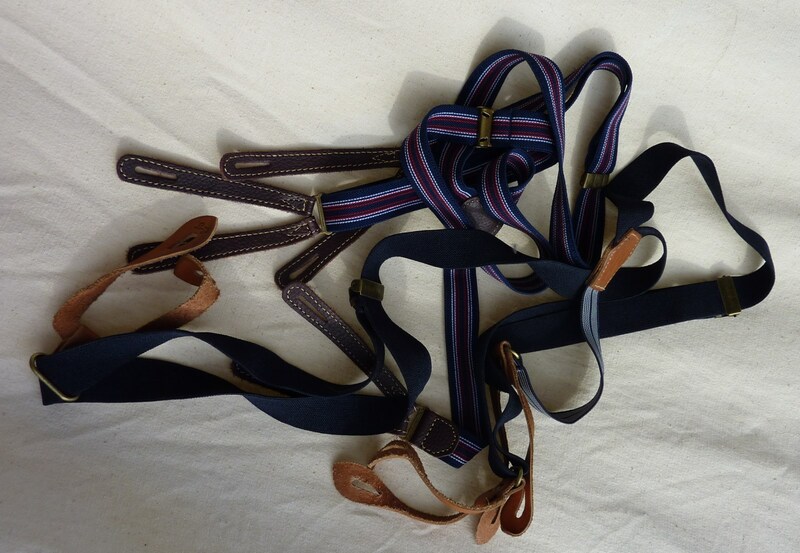 The braces that came with the trousers where typically thin and useless to aid in the suspension of the garment, but having buttons ready to fit proper braces was a bonus. Useless thin braces by Scotch & Soda. Probably intended more for having down than holding the trousers up! For fancy wear, such as with suits, braces will typically be more colourful and elaborate than the more workwear style braces I favour on an everyday basis. A couple of examples are shown below. These often only have stretch in the backpiece, so can be less comfortable than braces that fully elasticated. 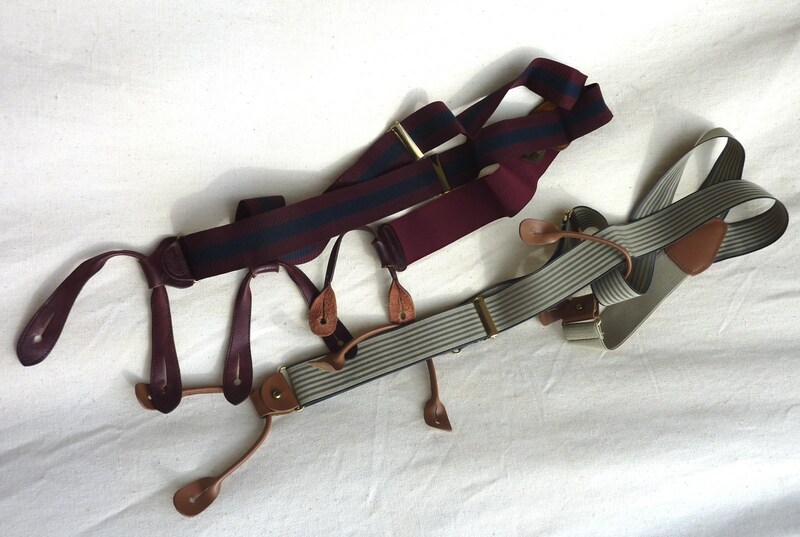 Being one of the leading figures working in vintage style, Nigel Cabourn does a reproduction of classic army/workwear style braces. These are fairly well made, but don’t last well enough to justify the typically Cabourn price. In the photo under the pilling of the cotton is clearly visible, as is the crumpled edge of the elastic. A shame, as the design is very pleasing. 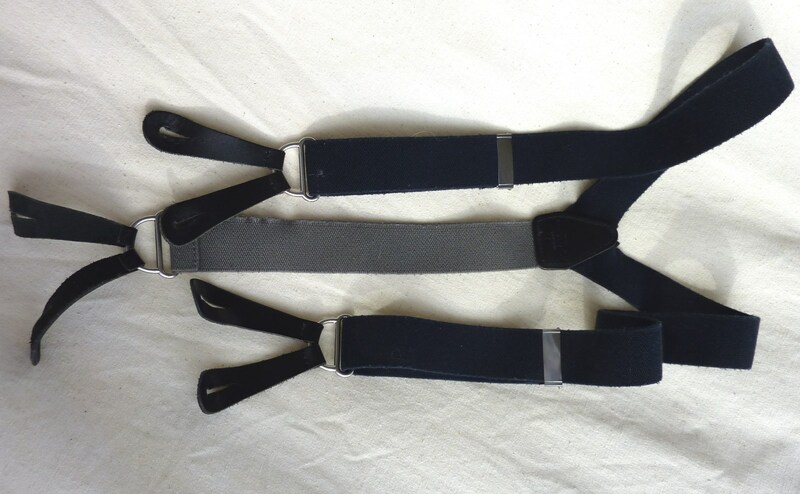 The best value braces of this style can be found for almost nothing at army surplus shops or on eBay. Often described as vintage RAF surplus, they are properly made, very like my own 30 year old type, and as mentioned, very cheap. The one issue I found was that they are, as they traditionally were, made for trousers with a very high rise. If you’re using them with more normal trousers, they can easily be modified as shown in the detail photo below. You may well have noticed that all my braces are for use with buttons. To my mind, the type you clip-on just are more a prop than proper, like the flimsy ones shown further up. 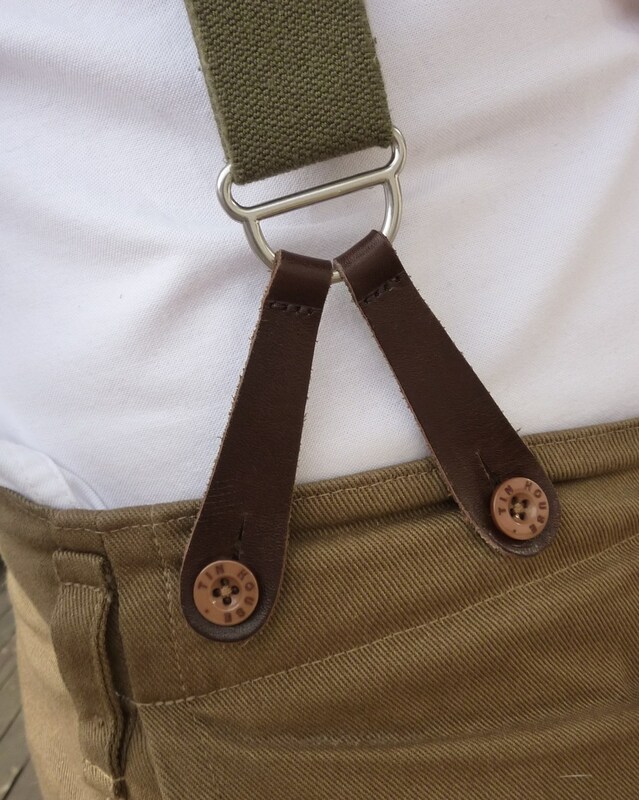 If you’re serious about suspending your trousers, go for the button-type, and if your trousers don’t have buttons already (as very few do today, apart from notables such as Nigel Cabourn, Hansen Garments and Old Town), you’ll just have to man up and add your own. It’s not difficult. One potential issue when you have a small collection of braces is that they like to tangle. I’m open to suggestions as to how to store braces in a tidier way! Darcy Clothing do some excellent reasonably priced braces. I am nothing to do with the company but a very satisfied customer. They also do great trousers and shirts in a vintage workwear style. Thanks again, David, that is an excellent tip indeed. I will order up a pair of their braces to try out!